Today Macy’s unveiled its impressive displays, a week after Lord & Taylor. As always, they both didn’t disappoint. 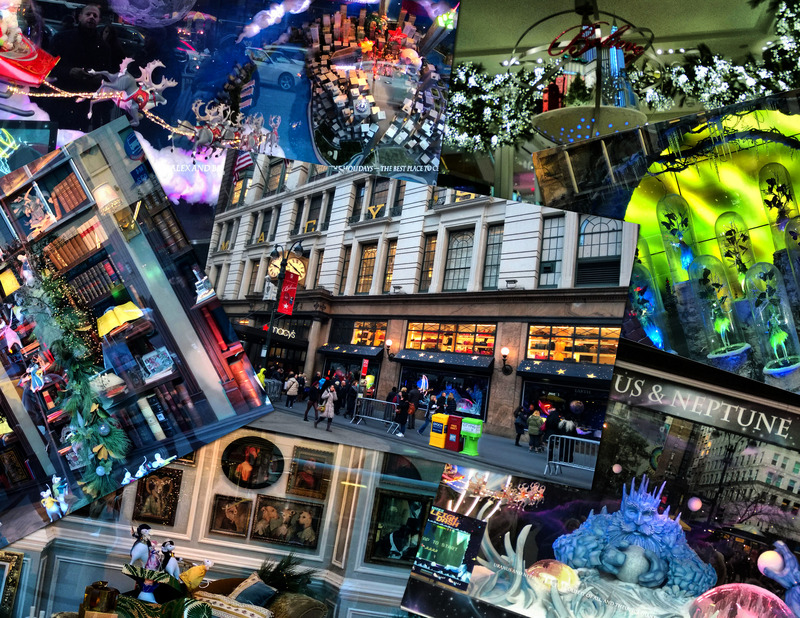 Lord & Taylor tells stories straight from a fairy land while Macy’s sends us on a magical travel in time and space to the mythological world of Neptune, Uranus, Jupiter, Venus and back to the Earth with the spectacular miniature of NYC seen from afar. Check the displays out, if you have a chance and let me know what you think! I can imagine it’s not only cold and snowy but really amazing at the moment in NYC! AHHHH! I can’t wait for Christmas in the city & to see all the displays. Oh, the displays must be charming! i was able to witness these last year and they were a sight to behold!!! can’t wait to see what’s for this year! Looks amazing. Thanks for sharing and this is the last week to WIN a pair of vintage sunglasses. wow they look amazing! I love christmas displays! As christmas gets closer, the shops get more and more crowded.